As it promised, Netflix has filed a petition to the FCC demanding that it deny the proposed merger between Comcast and Time Warner. The 256-page document claims that it would result in "serious public interest harm," and no discernible public benefit -- two red flags for regulatory bodies. Netflix cited several examples of harm already inflicted on it by Comcast or Time Warner Cable. For one, Comcast has used network congestion as an excuse to "shift Netflix traffic to paid interconnections," It also argued that data caps have been used as a tactic to deter consumers from third-party streaming companies like Netflix or Hulu. Netflix wrote that a merged cable giant would have huge leverage over it and other internet companies. 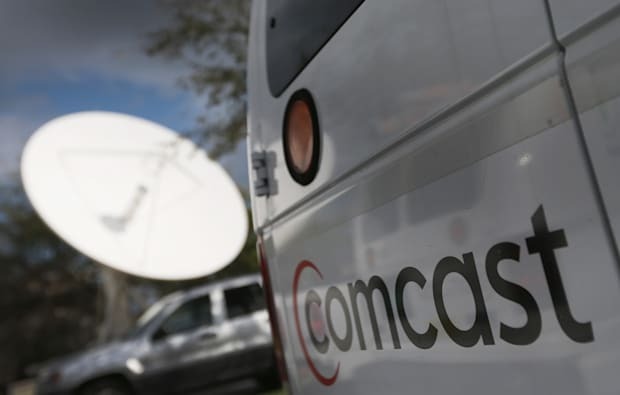 It said Comcast and TWC's claims that there is enough competition in the market are disingenuous, since DSL offerings from AT&T and Verizon are often insufficient for Netflix streaming. It added that TWC and Comcast offer competing paid video-on-demand services over broadband and thus have "incentives to interfere" with third-party companies like Netflix. It also noted that it's prohibitively expensive for consumers to switch broadband services, and that even if they wanted to, there are often zero alternatives -- a situation that would worsen with a merger. Finally, it complained about the problem of "terminating networks," or the point at which user data switches from one network to another. It contended that providers can deliberately congest such routes to extract fees -- and in fact, currently have no incentive not to. There are many more arguments listed in the document (at the source), and many are well known to the US public -- who have become intensely interested in the merger and net neutrality in general. Naturally, Netflix has its own interests (and profits) at heart, and Comcast and TWC may have a rebuttal to its main arguments. But Netflix's legal challenge to the FCC is significant, since it (and its customers) may suffer the most from a merger. It has now joined Dish Network in filing a formal brief along with numerous consumer groups. Update: Many others, including the Writers Guild of America and Public Knowledge, have chimed in against the proposed merger. Meanwhile, Comcast and Time Warner Cable have assembled a list of organizations writing in support of the merger, and that includes two familiar names in Cisco and TiVo.